What is an invasive species? Do I have them in my home landscape? And why is it so important that they be eradicated? These are questions that will be answered during this informative presentation. Susan Brookman, Executive Director of the Strike Team says that invasive species cost an estimated $140 billion in annual loses in the US. They cause great damage to the local ecosystem, crowding out natives and are considered the second greatest threat to biodiversity worldwide. Despite the damage they cause, they are still readily available at nurseries in New Jersey. According to Brookman, detecting invasive species early is the key to successful control. “If we can catch an invasive species soon after it arrives, we have a chance to nip it in the bud and keep it from establishing a viable population in New Jersey. 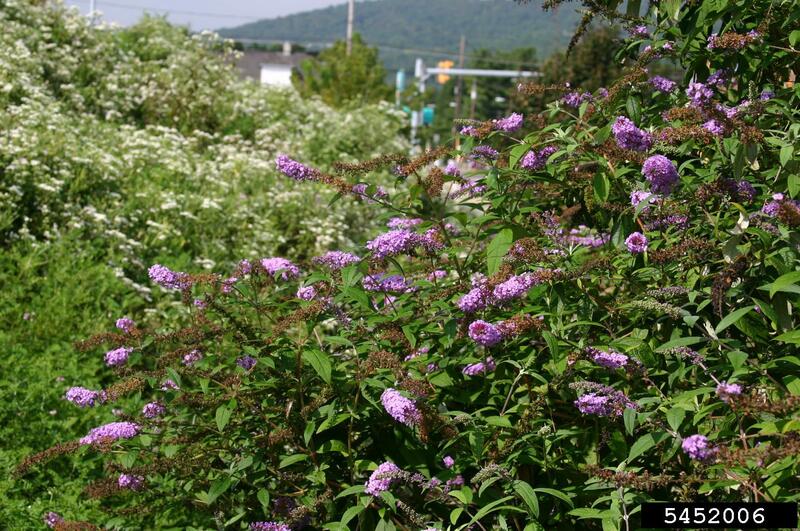 It’s easy to see the damage done by widespread invasive species like Dutch elm disease, the European gypsy moth and Japanese knotweed. It makes a lot of sense to spend a little effort figuring out which non-native species have the potential to wreak havoc, and then spend a little more effort to eradicate them. The alternative – letting them spread and then dealing with their impacts – costs so much, both to our pocketbooks and to our state’s agricultural and natural heritage. And, if you have a smartphone and spend time outdoors, the Strike Team would like your help. Thanks to a grant from the USDA Natural Resources Conservation Service, it has developed a NewJersey Invasives app to enable people with smartphones learn about, identify and report invasive species. With the app, a user who sees something they suspect may be an invasive species can scroll through photos to identify what they see, read information about it, then take a picture and submit a report – it’s that simple! Members of the Strike Team’s Technical Advisory Committee (experts in the fields of botany, entomology, aquatic biology and the like) verify each sighting and add the information to the on-line database the Strike Team uses to track the spread of problem species. The New Jersey Invasive Species Strike Team, http://njisst.org/, works to stop the spread of new invasive species – plants, animals, pathogens and other organisms that are not native to New Jersey whose presence is likely to damage the health of our environment, economy or our citizens. It works with counterparts across the mid-Atlantic to catalog non-native species and assess their threat levels. It creates an annual list of target species and then encourages conservationists and outdoor enthusiasts to be on the lookout for them. When invasive species are detected, the Strike Team offers guidance to property owners to help them eradicate the problem species.